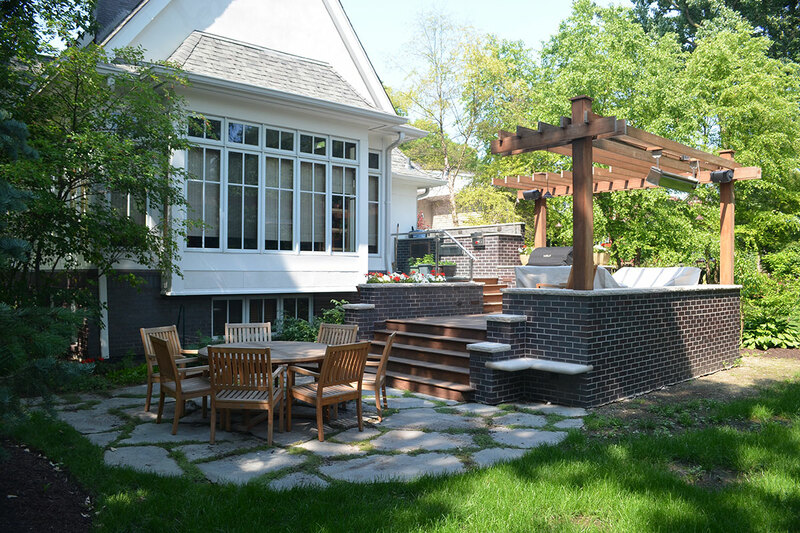 The design for this backyard room replaced degraded wooden stairs and small circular stone patio with a multi-leveled transition space that provides two seating areas, screening from the street, and an extension of the family kitchen. 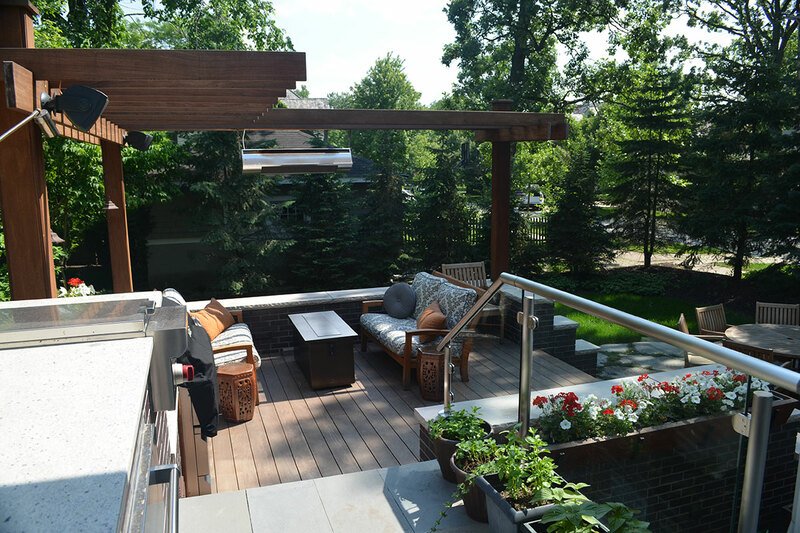 What this client desired was an outdoor space that felt like an extension of their home and provided a space to entertain in the summer as well as the shoulder seasons. Large family meals were a critical driver for this design solution. 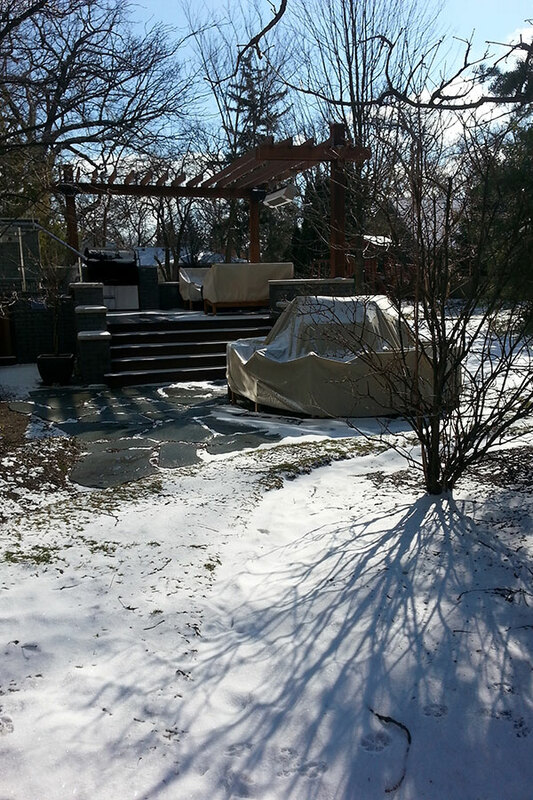 Often the fare required the use of the outdoor grill in preparation. 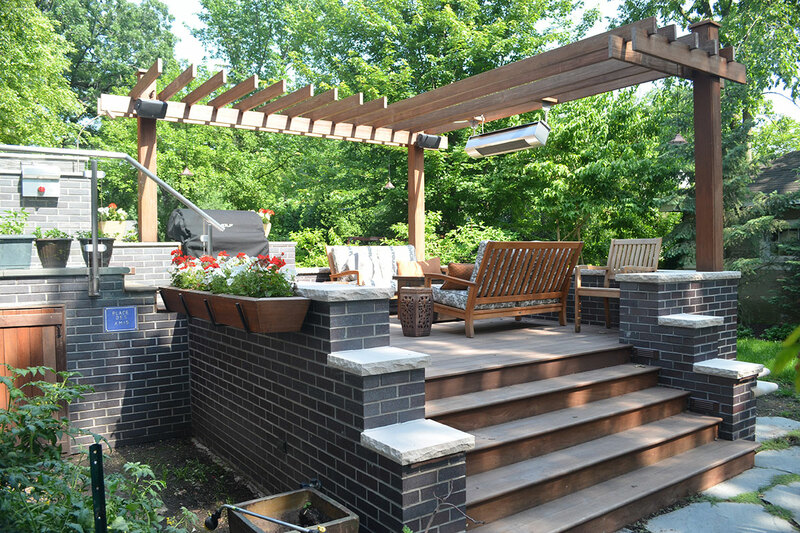 By raising the level of the deck and creating two different tiers we extended the kitchen counter into the backyard allowing for a more direct connection improving the flow, function, and safety of the preparation area. 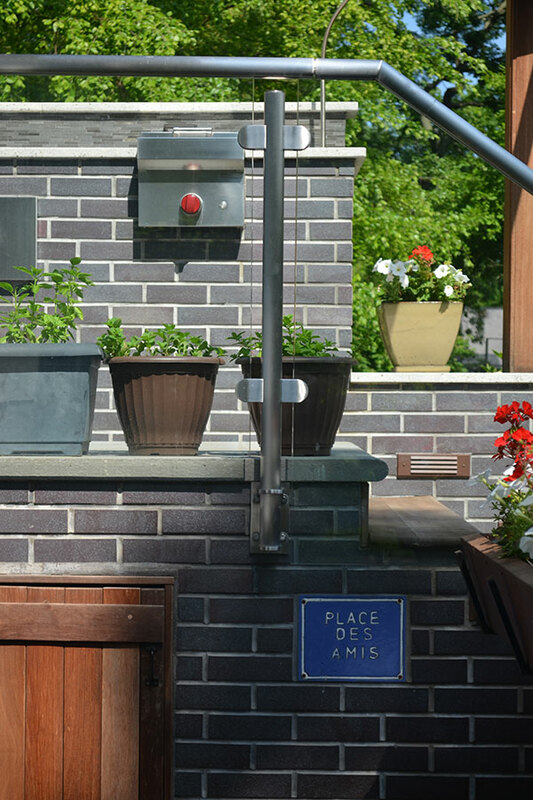 However, as physical space is a precious commodity in the city, the solution required a level of invention to accommodate the existing air conditioning units and address drainage. Working with the contractor we developed a solution that allowed the proper ventilation for the units and also allowed the upper walkway to be disassembled readily should the need arise. To address drainage and promote groundwater infiltration the structural solution was modified to include a large drywell and connective pores allowing water to move vertically and horizontally. 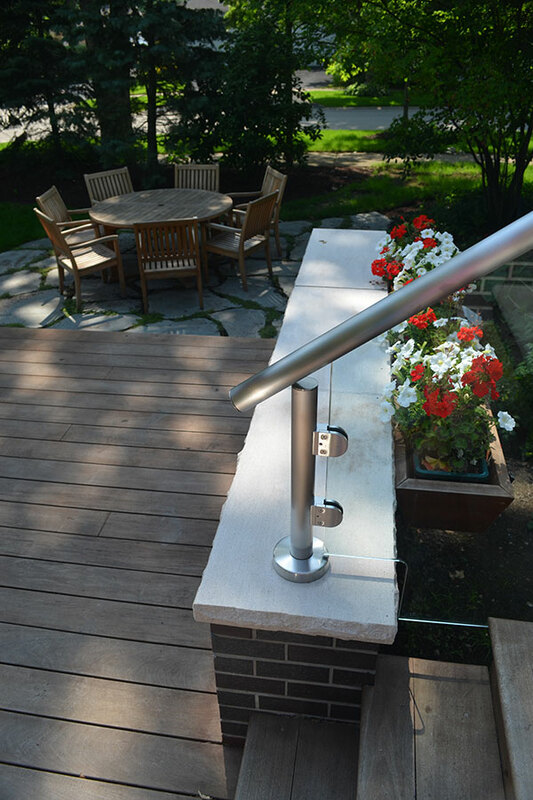 Careful attention was paid to construction materials and detailing to create an addition that flows seemlessly off the existing house.